As our nation’s population grows older, qualified professionals in many areas of the health industry are becoming more sought-after. As demand rises for radiological technologists and similar professionals, now is a better time than ever to start pursuing a career in radiology. In fact, the growing national trend is predicted to continue, leading to a 13% increase in radiologic technology jobs in only 10 years. The state of Indiana, like many other states, is expected to experience a shortage of workers in this profession, leading to more job opportunities for those who are qualified. In the state of Indiana, the average annual salary for a radiologic technologist is currently about $54,980, with an average hourly wage of $26.43. This puts Indiana just under the current national average salary for radiologic technologists, which is about $60,320. While this is much lower than annual rates next door in Illinois, Indiana has a lower cost of living, especially in the suburbs and rural areas of the state. Out in the field, salaries may vary quite a bit, and are influenced by factors such as employer, level of expertise and job title. More information on Radiologic Technologist salaries in Indiana. In the state of Indiana, radiological technologists must be licensed in order to perform radiology work. Indiana is currently one of 37 US states to use the American Registry of Radiologic Technologists (ARRT) certification exams for licensing. Radiological technologist students have many educational options to choose from in the state of Indiana. There are currently 17 radiography programs in the state that are accredited by the Joint Review Committee on Education in Radiologic Technology (JRCERT). Radiology programs may offer a Certificate, an Associate’s, or a Bachelor’s in Radiology Technology. Vincennes University, Vincennes: This 4-year college offers a Certificate, Associate’s and a Bachelor’s degree through its Radiography program. This program is currently in partnership with the Good Samaritan Hospital certification program. Outside of the State of Indiana there are various options to consider in Cincinnati, Fort Wayne and Columbus, Ohio, Lexington, KY, and in Chicago to the north. For networking, job listings and other career opportunities, radiologic technologists in Indiana should consider joining the Indiana Society of Radiologic Technologists (ISRT). 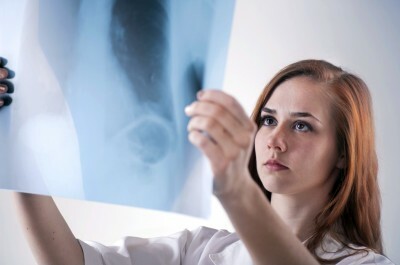 For additional resources, professional and aspiring radiologic technologists should check out the American Registry of Radiologic Technologists (ARRT).